St Pius started the game very strongly, confidently passing the ball around in both midfield and out wide. After a half break up the middle, St Pius recycled the ball twice, creating a gap out on the left and they scored. That put St. Pius X ahead 7-0. The hosts held onto that lead, but couldn't build on it. The Woodlands to slowly gain momentum and start to put pressure on the hosts and force errors. From one such error deep inside the defensive 22, Luke Rizzo was able to charge down a clearance kick from St Pius, gather the ball, and score under the posts. Manu Sanchez added the simple conversion to tie the score 7-7. As the first half worn on St Pius continued to have the run of play. But excellent defensive work by The Woodlands midfield of Mattox King, Sanchez, and Hyrum Myers supported by the pack managed to keep the hosts out until an infringement just before half time allowed St Pius a relatively straightforward kick at goal to retake the lead 10-7. But The Woodlands came out for the second half with a new purpose with the front row putting St. Pius under pressure. As The Woodlands pressed toward the St Pius line even though they didn’t have much possession, St Pius began to feel the pressure and infringe. After a late tackle, Orrin Bizer had a chance to kick for goal, but his kick sailed wide. 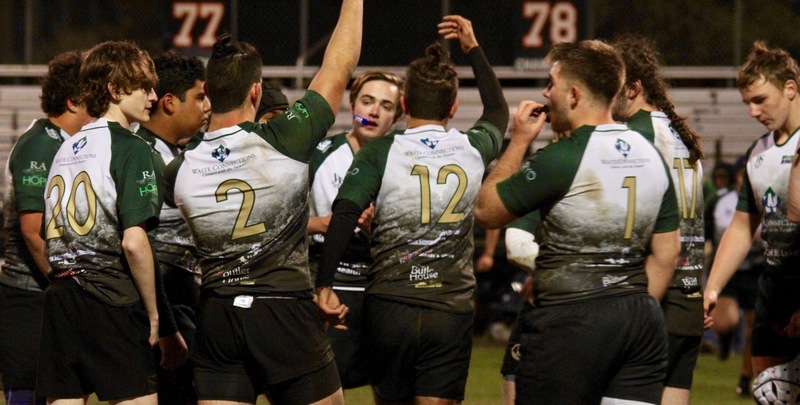 However, The Woodlands pressure was forcing errors throughout the St Pius team with wayward kicks and dropped passes becoming a feature, and with the St Pius scrum going backwards, Parker Callegari was able to disrupt St Pius ball almost at will. The St Pius lineout was still secure but the service to the midfield slow allowing Tom Dixon to force a loose pass and almost capitalize. But his hack ahead was a fraction too strong and he couldn’t ground the ball before the dead ball line. The Woodlands continued to pressure St Pius inside the hosts half. From a solid scrum, Hyrum Myers drew in the St Pius midfield defense allowing Tom Dixon to make 15 meters into the 22. From the recycled ball Bizer entered the line at pace and wriggled out of two tackles before being caught about 10 meters short. Rather than go to ground, Bizer was able to stay on his feet and was driven over the line by Mattox King and Jack Burgess. With the conversion added, The Woodlands led 14-10. 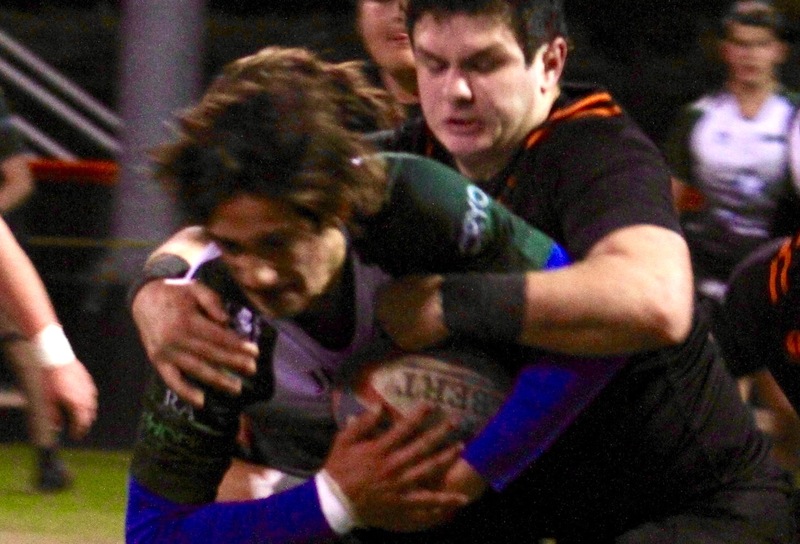 The Woodlands finally made the pressure tell as Rizzo made immediate amends for a crooked line out throw by winning the ensuing scrum against the head. The backs usied the ball quickly and once again Bizer broke through tacklers to score his second try. Sanchez converted to make it 21-10. St Pius did try to force their way back into the game, but a yellow card put paid to their comeback.